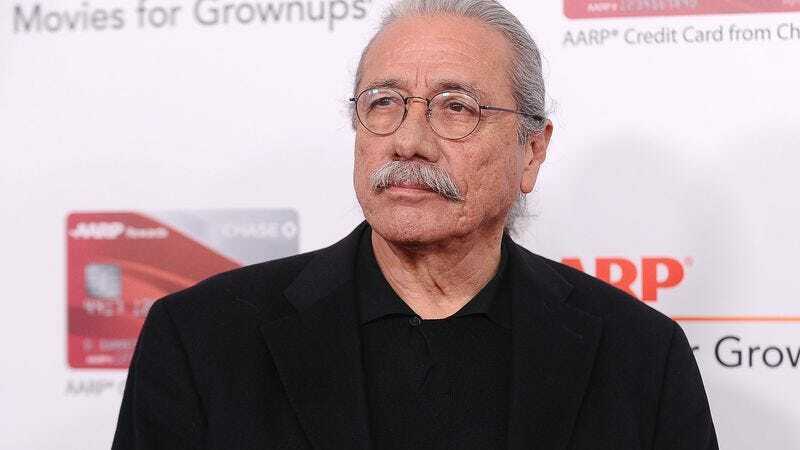 According to Deadline, Edward James Olmos has joined the cast of Mayans MC, Kurt Sutter’s spin-off of his FX series Sons Of Anarchy. The show is set after the end of Sons Of Anarchy, with a young man named EZ Reyes trying to join up with the eponymous motorcycle gang on the California/Mexico border. Olmos is the first actor to be cast in the pilot, and he’ll be playing Felipe Reyes, EZ’s father, with the Deadline story describing him as a “once-strong Mexican patriarch” who has been “crushed by bullets and hard labor” and now “struggles to keep his past buried” so he can take care of his sons. We can’t say for sure, but the past he’s trying to keep buried may or may not have something to do with motorcycle gangs.